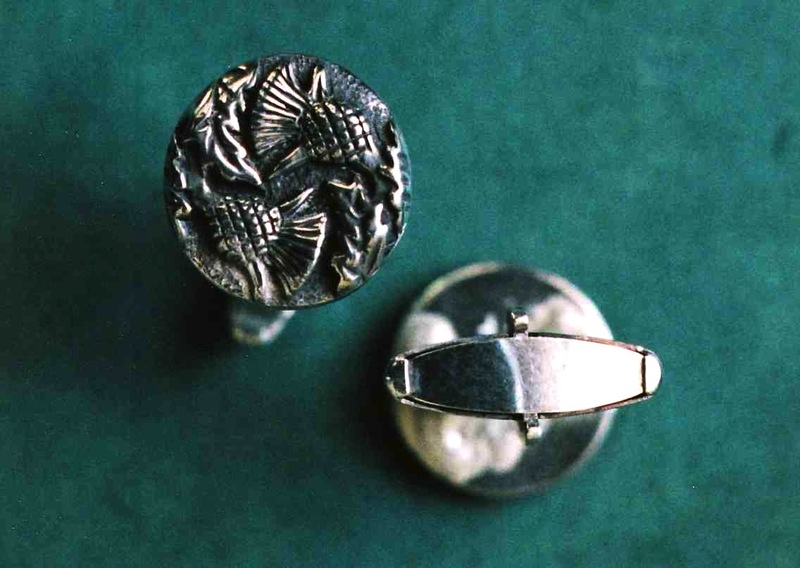 Sterling Silver, Cast and Fabricated. 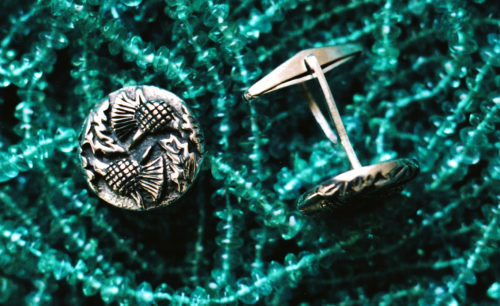 Each decorative disc is roughly the size of a U.S. dime (although much heavier and more sculptural) and, because of the placement of two thistles on each cufflink, they are always properly oriented. 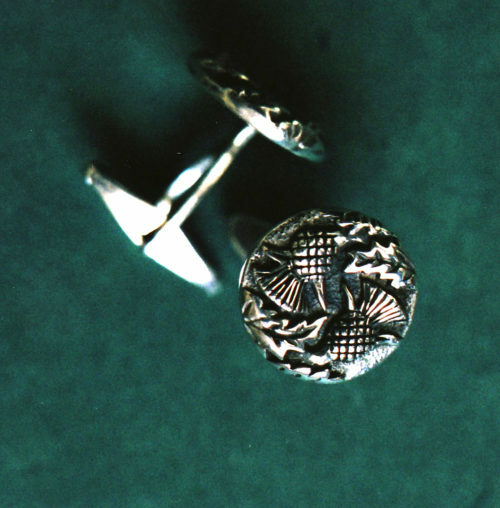 Nagle Forge & Foundry’s Double Thistle patterned cufflinks are cast and fabricated from sterling silver. 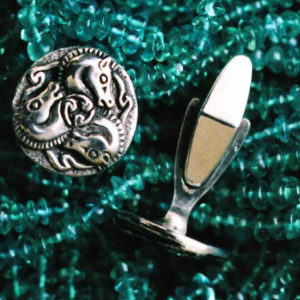 Each sculptural decorative disc is first cast out of sterling silver -hand polished and finished- and then fitted with a sterling silver toggle mechanism. 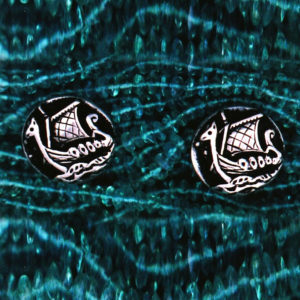 These cufflinks are sculptural and smooth, sturdy and simple to wear, weighty without being too heavy. 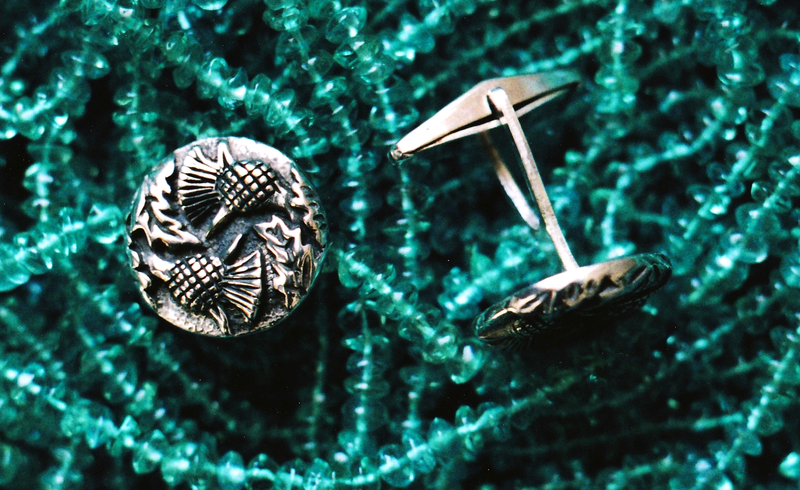 They are designed to be worn for decades and never wear out. They are meant to be worn by you, the generation that follows, and the generation after them as well. And they will be even more beautiful in a hundred years than they are today. These cufflinks were designed to match -though not necessarily be worn with- our round Thistle Seal Ring.